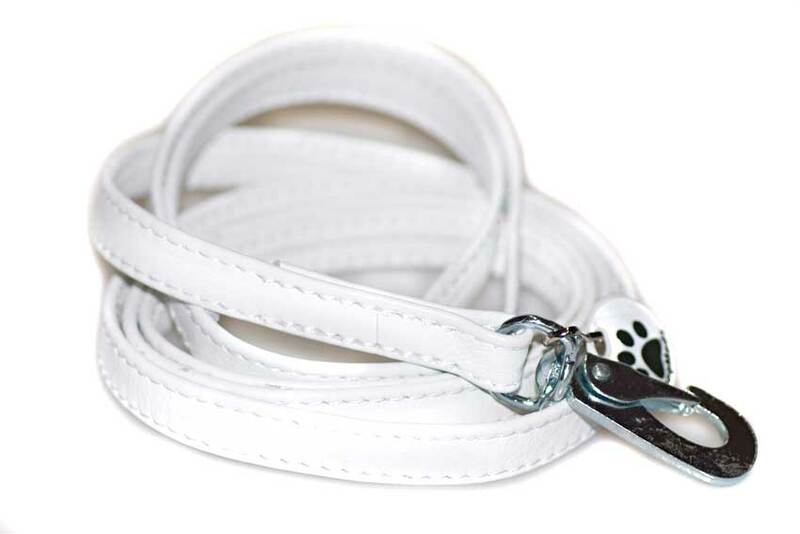 Home/Show dogs/White nappa leather stitched dog lead 1m / 40"
White nappa leather stitched dog lead 1m / 40"
Soft white nappa leather double folded stitched dog lead 1m / 40"
Our double stitched leather show leads are hand made to the highest standard from the finest quality soft nappy leather. 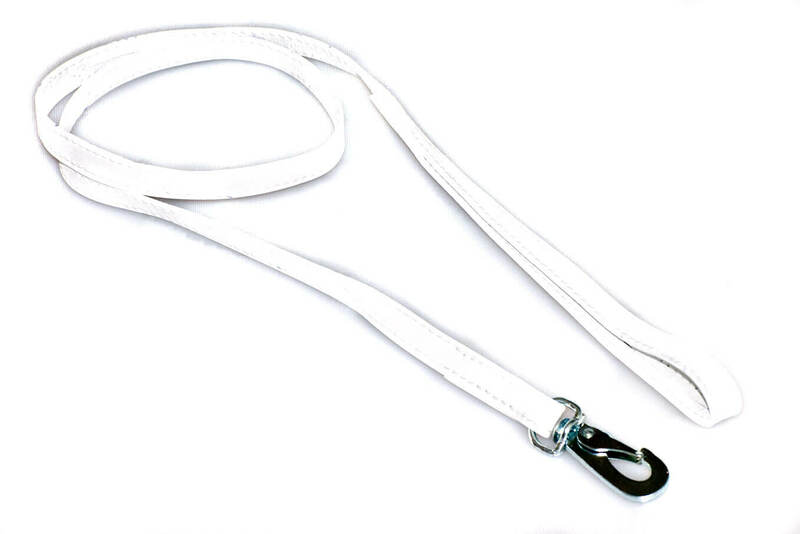 Lightweight and smooth in your hands these dog leads are the ultimate in luxury and comfort giving you an additional control in the show ring for puppies, younger and exuberant hounds. Made of a finest nappa leather and double folded and double stitched throughout the whole length these dog show leads are extremely soft, yet durable and strong. 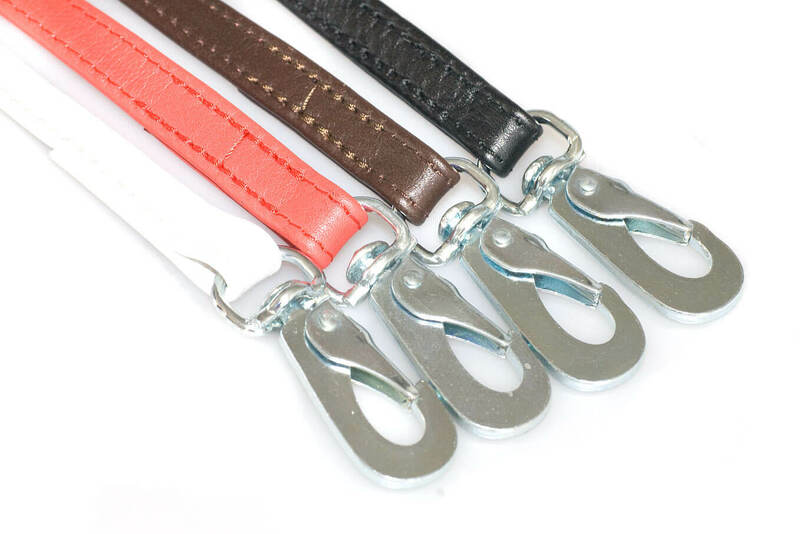 All Dog Moda leather leads are feature our special extra safe Scandinavian chrome coloured trigger hook which is considered to be the safest type of trigger on the market. These Swedish-made triggers are used by husky sledge teams, climbers and alpinists, feature the safest mechanism on the market and will not open accidentally - perfect to prevent escapees and give me you peace of mind in the show ring! Strong yet lightweight this show lead will suit both medium and larger sighthound breeds, such as Whippets, Afghan hounds, Salukis and Scottish Deerhounds. 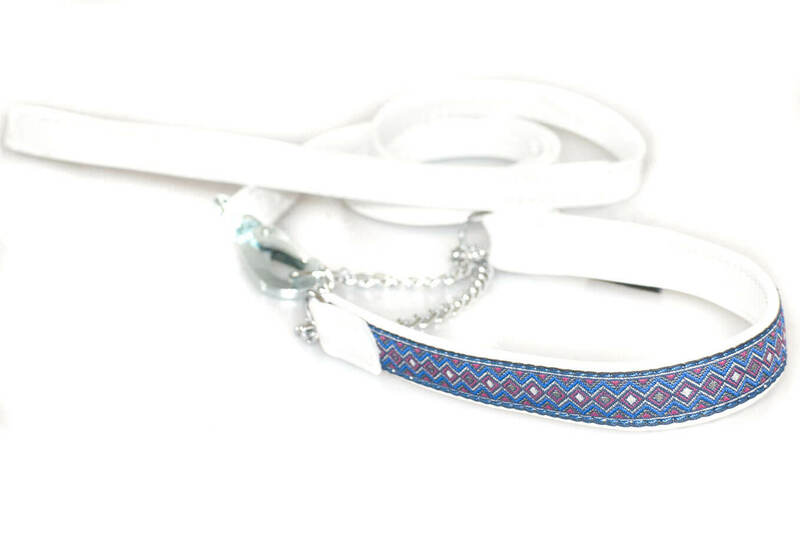 We stock a wide selection of matching leather and ribbon dog show collars in 5 sizes to suit most breeds. Need help choosing your dog's show lead and collar? Please do not hesitate to call +44 (0) 20 3582 4532 or contact us if you need help in choosing show lead and collar for your hounds. We are here to help!